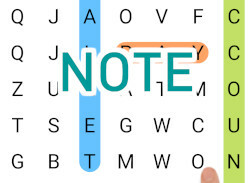 1) HIGHLIGHT A GROUP OF THE LETTERS YOU WILL PLAY WITH AND PRESS ON IT TO SELECT IT! 2) WITH SELECTED LETTERS CREATE AS LONG WORD AS POSSIBLE, YOU CAN USE EACH LETTER JUST ONCE! 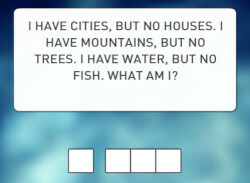 3) GAME WILL RECOGNIZE EXISTING WORD! PRESS THE SUBMIT BUTTON WHEN YOU WANT TO SUBMIT YOUR WORD! 4) TO END YOUR GAME AND SUBMIT YOUR OVERALL SCORE PRESS THE BUTTON IN THE BOTTOM RIGHT CORNER! * longer words = better score! * press on the selected letter to erase the whole word! * press out of the group to deselect it!